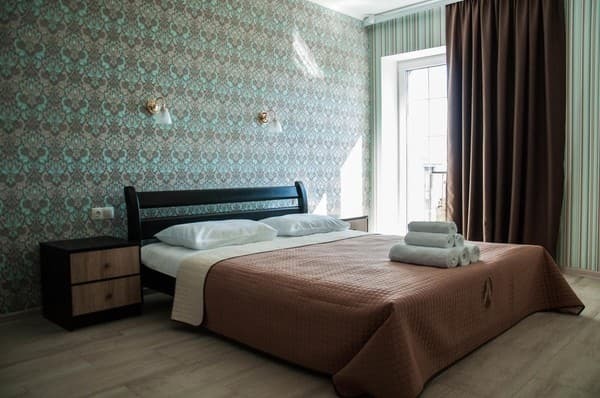 Hotel "Sun House" is located in the city of Berdyansk, near the seaside square, the heart of the city. It is located only in five minutes not fast walk from the sea. 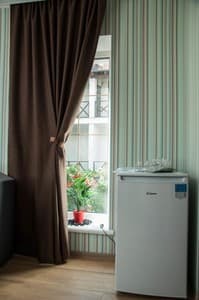 The hotel provides chic and cozy rooms, with European-quality repair. 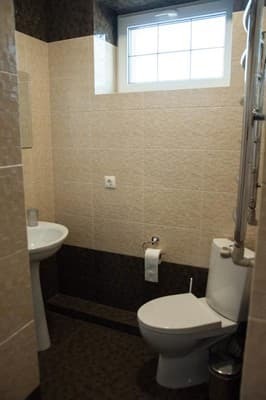 The design of each room is in pleasant warm colors. Each has air conditioning, a flat-screen cable TV, a microwave, a kettle, and a refrigerator. There is a closet where you can put your things. In the shower there are all necessary cosmetic means for personal hygiene. Some rooms have a balcony with sea views. Pets are allowed in the rooms by prior arrangement. There is a free WI-Fi throughout the hotel. On the territory there is its own free parking for tourists who have arrived by car. 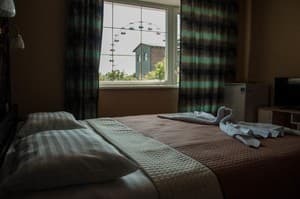 The hotel is suitable for couples, special rooms are available for them. There is a special room for non-smokers. All children are welcome. One child under 6 years is charged 100 UAH per night on existing beds. Maximum capacity of extra beds in a room is 1. Additional services are not included automatically in the total price and are paid separately during the stay. Each room has a microwave, kettle, refrigerator. 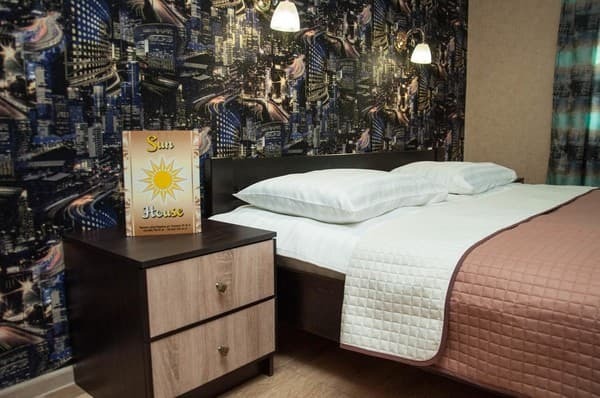 Hotel "Sun House" is located in the city of Berdyansk, near the seaside square, the heart of the city. It is located only in five minutes not fast walk from the sea.